The research fellowships will promote agricultural productivity, food security and economic growth through international collaboration. Kathryn Harris, a WSU Ph.D. candidate, has received a 2018-19 AAAS Science & Technology Policy Fellowship. 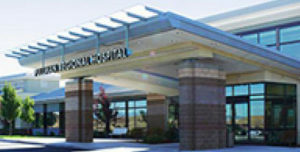 PULLMAN, Wash. – Coordinating patient care among providers to improve health and lower costs is the focus of a proposal by a Washington State University professor who recently was awarded a $5,000 one-year community health fellowship.